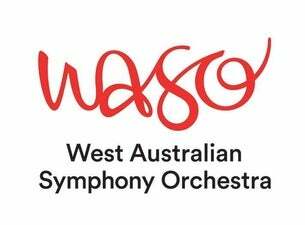 The West Australian Symphony Orchestra (WASO) is Western Australia’s largest and busiest performing arts organisation. With a reputation for excellence, engagement and innovation, WASO’s resident company of full-time, professional musicians plays a central role in creating a culturally vibrant Western Australia. WASO is a not for profit company, funded through government, ticket revenue and the generous support of the community through corporate and philanthropic partnerships. WASO’s mission is to touch souls and enrich lives through music. Each year the Orchestra entertains and inspires the people of Western Australia through its concert performances, regional tours, innovative education and community programs, and its artistic partnerships with West Australian Opera and West Australian Ballet. WASO also has a proud history of commissioning and performing new music by leading Australian and international composers. The Orchestra is led by Principal Conductor and Artistic Adviser Asher Fisch. The Israeli-born conductor is widely acclaimed for his command of the Romantic German repertoire and is a frequent guest at the world’s great opera houses including La Scala, the Bayerische Staatsoper and the Metropolitan Opera in New York. WASO’s extensive and award-winning Education and Community Engagement program reaches people of all ages and backgrounds and offers programs and events that complement the curriculum, improve social and emotional wellbeing and encourage participation in and appreciation of music. With a commitment to visiting remote and regional locations WASO takes music to students and communities in all corners of the vast state of Western Australia. WASO is also dedicated to fostering the next generation of musicians through its Young and Emerging Artists program which provides professional development opportunities for young conductors, composers and instrumentalists. Each year the Orchestra performs over 175 concerts with some of the world’s most talented conductors and soloists to an audience in excess of 190,000. An integral part of the Orchestra is the WASO Chorus, a highly skilled ensemble of auditioned singers who volunteer their time and talent. WASO is privileged to be based at the Perth Concert Hall, one of Australia’s finest venues, revered for its exceptional acoustic. Concerts are regularly recorded by ABC Classic FM, broadcast throughout Australian and streamed around the world, providing audiences with access to live and on-demand WASO performances.